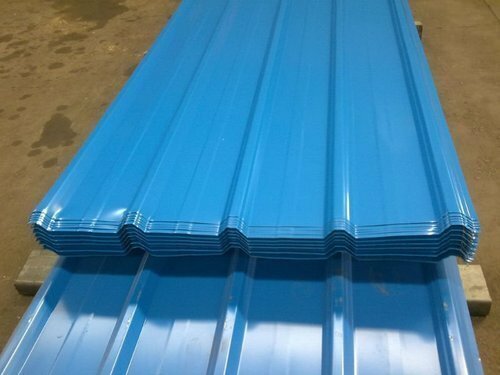 Roofing Sheet is a building material composed of sheets of hot-dip galvanized, color coated, cold rolled to produce a linear corrugated pattern in them. The corrugations increase the bending strength of the sheet in the direction perpendicular to the corrugations, but not parallel to them. Normally each sheet is manufactured longer in its strong direction. It is lightweight and easily transported. It was and still is widely used especially in rural and military buildings such as sheds and water tanks.